Q: What is the membership fee for kickboxing and jiu-jitsu? $125 per month. See Training Fees for more info. Q: Do you have beginner classes in kickboxing and jiu-jitsu? Q: What's different about your martial arts gym? 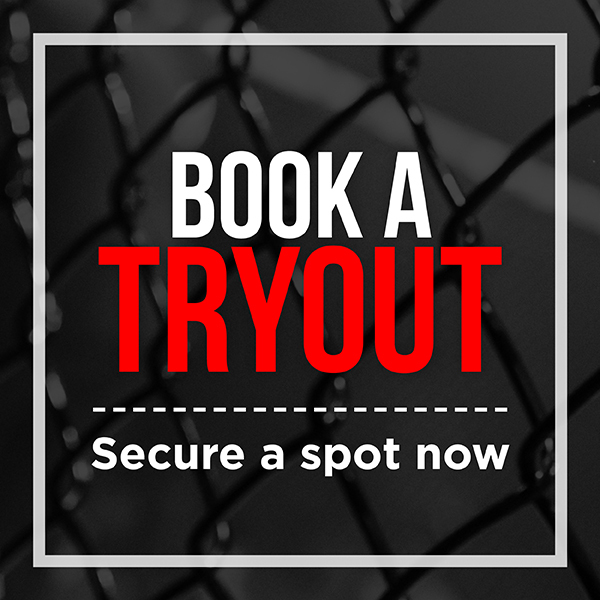 We offer a few different styles of martial arts including: Muay Thai/kickboxing, Brazilian jiu-jitsu, and wrestling, the 3 most effective fighting styles in Mixed Martial Arts (MMA). Our members can take as many classes as they want, whenever they want. Q: What's the difference between kickboxing and jiu-jitsu? Q: Do you have a trial period? 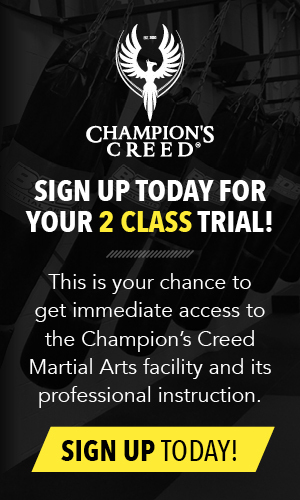 Yes, we offer a 2-class trial. Please see 2 Class Trial for more info. Q: What is your class schedule? Q: What is Muay Thai/Kickboxing? Muay Thai is the oldest known form of kickboxing and is the primary building block of all other forms of kickboxing. Champion’s Creed has a boxing ring that they use for Muay Thai training. 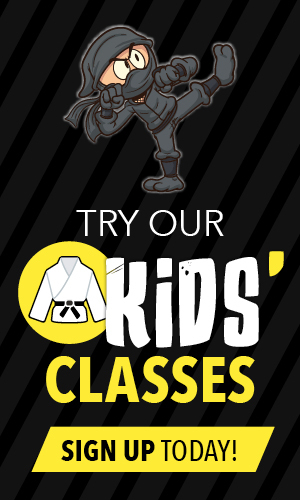 Whether you want to learn for fun, fitness, or self-defence, Champion's Creed has qualified and experienced instructors that can teach you everything you need to know to get started. 5) Training gear for Muay Thai includes padded gloves, hand wraps, and shin guards. 6) Hand wraps are used in Muay Thai to stabilize your wrists and protect your knuckles. 7) Muay Thai is an excellent cardio workout, and it’s great for toning arms and shoulders. 8) Muay Thai is the most common striking style used in Mixed Martial Arts (MMA). 9) Muay Thai uses the body to mimic weapons of war (for example, in Muay Thai your hands mimic a sword or dagger).